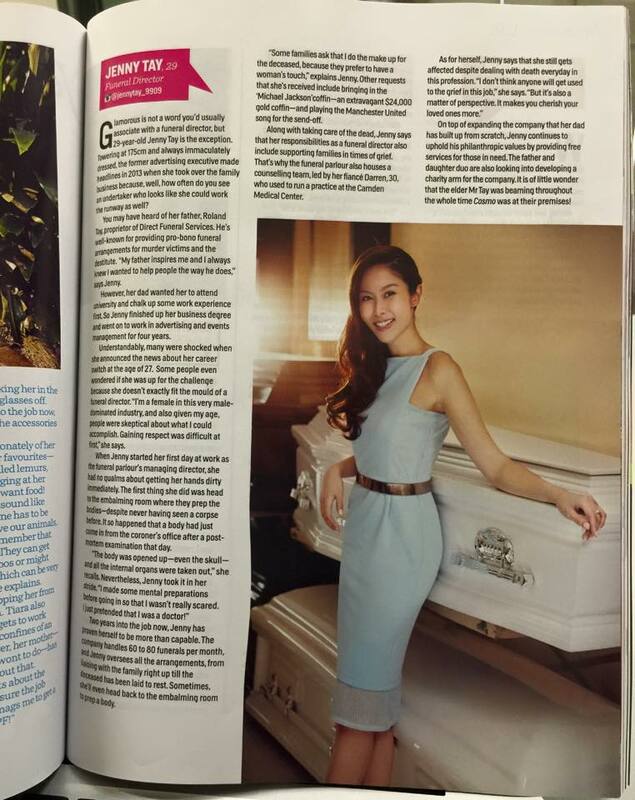 Jenny Tay funeral director is featured in the April issue of Cosmo! Cosmopolitan decided to feature me! Click on the picture to read what we talked about. I feel so honoured to be chosen. *UPDATE 5/7/15: Germany’s Cosmopolitan wants to feature this article in their August issue! Yey!